Naturopaths combine the wisdom of nature with the rigors of modern science. Steeped in traditional healing methods, principles and practices, naturopathic medicine focuses on holistic, proactive prevention and comprehensive diagnosis and treatment. By using protocols that minimize the risk of harm, naturopaths help facilitate the body’s inherent ability to restore and maintain optimal health. It is the naturopaths’role to identify and remove barriers to good health by helping to create a healing internal and external environment. Qualified naturopaths undergo years of rigorous training (pathophysiology, physiology, nutrition, diagnostics, pharmacology, research, pharmacology, mind and body medicine and so forth before they become licensed health-care practitioners. We treat all medical conditions and can provide both individual and family health care. Among the most common ailments they treat are allergies, chronic pain, digestive issues, hormonal imbalances, obesity, respiratory conditions, heart disease, fertility problems, menopause, adrenal fatigue, cancer, fibromyalgia and chronic fatigue syndrome. We are trained in pharmacology and understand about drug contraindications without natural healing agents such as herbal medicines and supplements. A naturopath will take time with you. During your first appointment, your practitioner will take your health history, find out about your diet, stress levels, use of tobacco and alcohol, and discuss why you’re there. He or she may perform an examination and order diagnostic tests. Naturopaths keep themselves up-to-date on the latest scientific research and incorporate this evidence into their treatments. The naturopath will work with you to set up a customized health management strategy. If necessary, you practitioner will refer you to other health-care practitioners. A first visit with a patient may last one to two hours and follow-up visits range from 30 to 60 minutes, although this varies depending on the naturopath. Naturopath’s need sufficient time to ask questions and understand the patient’s health goals, gather information, do an appropriate examination and teach his or her patients about managing their condition and improving their health. We may also use diagnostic tests (from bloods, blood pressure, nervous system, heartbeat, digestive system, thyroid etc) to fully understand your health status. Besides taking the time to carefully and fully assess a patient’s root problem we speak and understand the language of conventional medicine. We don’t diagnose the way Doctors do, yet, we bring to the patient a whole new arsenal of treatments and insights. Instead of waiting for a disease to emerge, We work to head it off before it happens. Sheena recommends health supplements, phytonutrients, vitamins and minerals, therapeutic essential oils and herbal medicines where necessary. For repeats contact Sheena and you can pick up or have them delivered. Our herbal medicines are prescribed and mixed specifically to an individual’s needs. 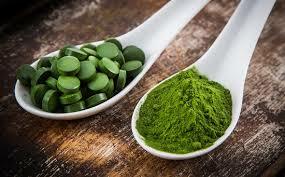 Herbal medicine is a form of medicine that exclusively uses plants and is the oldest form of medicine on the planet. It still used as a primary therapy by over 75 percent of the world’s population. It is the forerunner of modern drug medicine, with many chemical drugs based on compounds found in plants. For example, the idea for aspirin came from the salicylates found in willow bark, and heart drugs are still extracted from the foxglove. Almost any condition that patients might see their doctor for can be treated with herbal medicine. In particular, it is extremely effective for treating chronic disorders such as arthritis, asthma, skin disorders and digestive problems as well as improving the functioning of the immune system, disorders of the nervous system and hormonal complaints. Herbs can also be used to assist with acute problems such as colds, flus and infections. 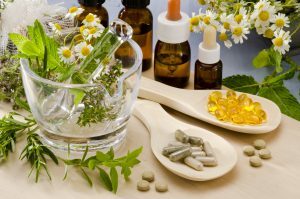 The safe and effective use of herbs is best achieved by consulting with a medical herbalist who will make up a herb mixture to suit your constitution and who can also look at any medication you’re on and decide which herbs are compatible, safe suitable. Sheena Hendon Health carry a large range of Practitioner-only products which can only be prescribed and dispensed by fully qualified practitioners and which are not available in standard health stores. These formulations are highly specialised, of high quality, and formulated according to the latest research and scientific discovery.